Edward (Ted) Lefort was born in London in 1883, to Eugene and Elizabeth, one of seven children. He appears on the 1901 England Census, still living with his parents. On his attestation form Ted claimed 12 years with the Royal Navy so his service must have started soon after 1901. 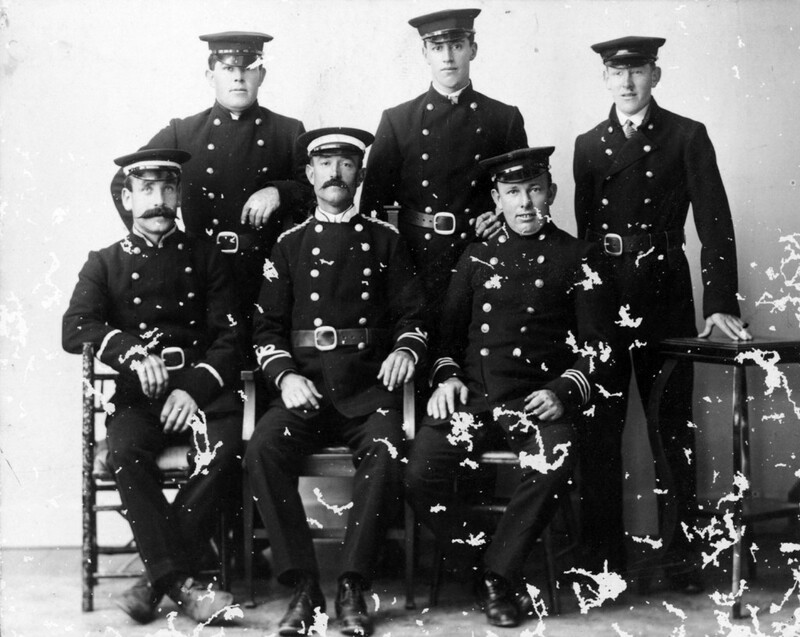 He emigrated to New Zealand and was living in Martinborough by 1912, when photographed as 3rd officer of Martinborough Volunteer Fire Brigade. He worked as a plumber. When Ted enlisted in August 1914, he gave his employer as Robert Smith, a farmer in Martinborough. He joined the Wellington Infantry Battalion as a signaller, service number 10/227 and left with the Main Body in October. Ted survived the Gallipoli Campaign and, promoted to sergeant, went to France with the New Zealand Division in April 1916. He moved up to be company sergeant-major (warrant officer Class II) in September 1917 and transferred to the N.Z. Rifle Brigade in February 1918. He was badly gassed in March which removed him from the Western Front to Hornchurch and Brockenhurst hospitals in England. He spent four years and 247 days in the army. While convalescing, Ted met and married Irene Denny in late 1918. They embarked from England in February 1919 on the ‘Athenic’ and returned to Martinborough. Ted and Irene’s son, Edward Eugene Lefort, was born in there in October 1919 and a daughter, Irene Rosina, arrived in 1922. Ted continued as a plumber in Martinborough and from 1921-1925, was fire chief. About 1932 the Leforts moved to Masterton, where they lived in Grey Street and later, 19 Queen Street (in a group of cottages just south of Bruce Street). Ted died in 1950 and Irene Lefort in 1968. Both are buried in Masterton Cemetery.